Hola Amigos, so this is the journey so far. I hope you like it. 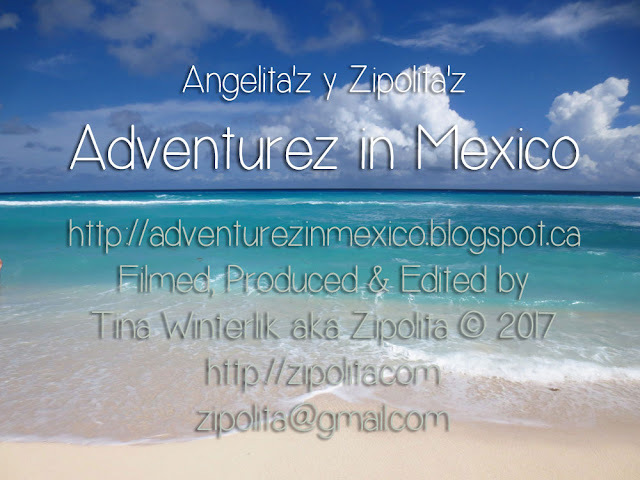 Adventurez In Mexico is a blog about the Journey of a Canadian Mother and Child(whose father is Mexican) and their Adventurez and they travel, learn and explore the Mexican landscapes, language and cultural traditions. But really just coming to Mexico is the gift. Stay tuned for our Adventurez In Mexico as we will be here until the end of February. Follow along and learn what it is like to live like Mexicans in Oaxaca do. Come visit. Come to Zipolite, West Jet is going to have a big sale in November...if you coming please let me know...I need some things, like eucalytus oil and probably more lavender. Zipolita (Cristina) y Angelita (Angela) really Tina and Angel but they change our names here.. They don't like the name Tina...it means bathtub and they think Angel is a boy's or mans name so they change it...to Angela. Different cultures...did you learn something...we will teach you lots. This is the journey of a (Canadian) mother and her child (whose father is Mexican) to explore, learn and discover all they can about Mexican culture. This is their 4th -5 month journey to Mexico together. Adventurez in Mexico was created by Tina Winterlik aka Zipolita. I specialize in Photography, Art, Social Media, Web, App Design, Traveling, Blogging, Video, Carving, Jewelry Making & Motherhood and use these talents to share our experiences with you. My intention is to inspire and enlighten. ©2010 All Photos, Videos and Text is Copyrighted by Tina Winterlik and are NOT to be reproduced without written permission.